​1. Letters shall be typewritten, double spaced, signed by the author, and shall not exceed 300 words in length. ​3. 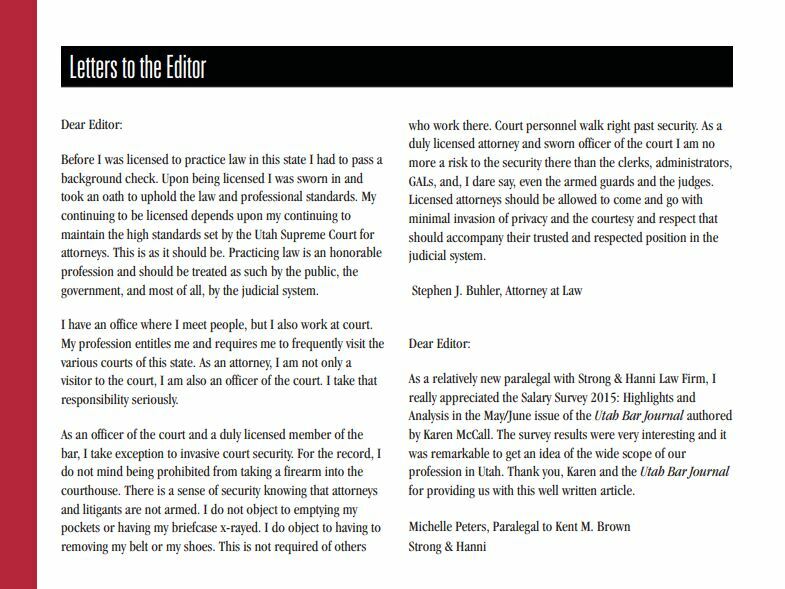 All letters submitted for publication shall be addressed to Editor, Utah Bar Journal, and shall be emailed to BarJournal@UtahBar.org or delivered to the office of the Utah State Bar at least six weeks prior to publication. ​4. Letters shall be published in the order in which they are received for each publication period, except that priority shall be given to the publication of letters that reflect contrasting or opposing viewpoints on the same subject. ​8. 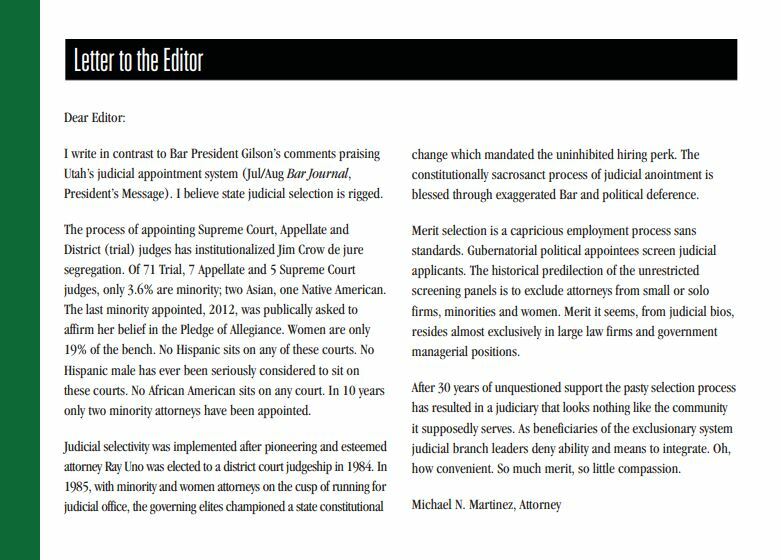 The Editor, or his or her designee, shall promptly notify the author of each letter if and when a letter is rejected. Complete the Form to send a letter to the Editor.